According to Gartner, 67% of infrastructure and software spend will be for cloud services by 2020. As a result, network admins face higher demands than ever to deliver scalable, manageable cloud connectivity with software-defined perimeters. 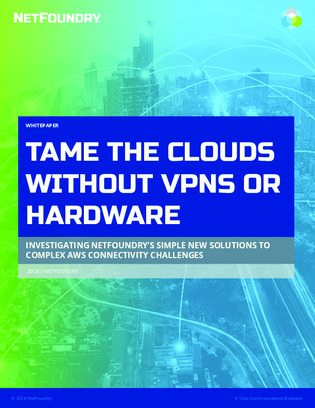 This white paper identifies 3 common cloud scenarios that challenge networking teams with a specific focus on AWS and other similar cloud platforms.